Lebanese cooking class with ME at The Kitchen Conservatory! Join me on March 26th for my first cooking class at Kitchen Conservatory! We will be cooking all things Lebanese. We will be making laban, shish barak over rice , fatoush, hummus b’thini and baklava! For more information click HERE! I am so making this tonight and giving it to the kids before they go to bed (wink). Seriously….This is going in the ice cream maker tonight. I cannot wait. 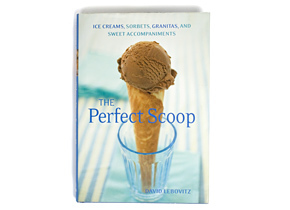 Courtesy of one of my favorite ice cream books: Perfect Scoop by David Lebovitz. I love beer…and ice cream. I am going to eat this ice cream while drinking beer….I might even make a float. There is also a recipe for Guinness Cupcakes as well….STEPH!!! We have a growing hunger to know where our food comes from. Organics is booming, and the number of farmers markets has doubled in the past ten years. In our increasingly corporatized world, we are looking to get back in touch with the land. American Artisanal feeds this hunger as no book has before.The book celebrates twenty-five of America’s leading food artisans˜from Wood Prairie Farms potatoes in Maine to Leavins Seafood in Florida, from Reed’s Ginger Brew in California to Earthy Delights mushrooms in Michigan. These producers return to the basics of sustainable, small-scale, and just plain high quality-control food. Woven throughout each chapter is the engaging history behind our foods—their natural origins and long journeys to cultivation. Each chapter concludes with recipes, and ordering information is provided so you can enjoy these culinary delights at home. I pre-ordered this on Amazon this week. I am so very excited to get my hands on this little gem. I already have devoured the Atlas of Artisanal American Cheese…this will just put fuel to the fire! …..the lamb was the most delicious I had EVER had in a local restaurant….I wanted every morsel of it….and we were seated at the table in the back. Strangely, I didn’t even order the lamb…I plucked it from Simon’s plate. I doubt if anyone saw….well, except for the kitchen staff who thought it was awesome that I didn’t a hoot about what I looked like…those bones were bare when I got done with them!! I have just concluded my first reading of ‘My Life in France’. I am suprised by my feelings of sadness. I have always seen Julia Child as one of the founding fathers of cooking shows, but had no idea what her life entailed. I was unaware of the fact that she was 37 years of age when she began her cooking instruction at Le Cordon Blue, Paris. 37 years old! That is wonderful! I’m just 30….there is hope for me yet! Oh my stars! But the sadness is there….sad that there will be no more auto-biographies. I could read, read, read and read stories about her life. She was an amazing woman. How lucky her nephew was to have her. Sidenote: I have just purchased Mastering the Art of French Cooking Vols. 1 & 2. I am going to start on page one and not stop until I am finished. Unlike the Julia/Julie project…I will not post my experiement. I will keep you all abreast of how it’s going…but only when it turns out edible. My obsession with France continues. Next on my nightstand: The French Menu Cookbook by Richard Olney. Makes me want to call in sick to work.